These 100% Plastic Kem Casino Club Playing Card Sets feature the original Kem Casino Club Back Designs. 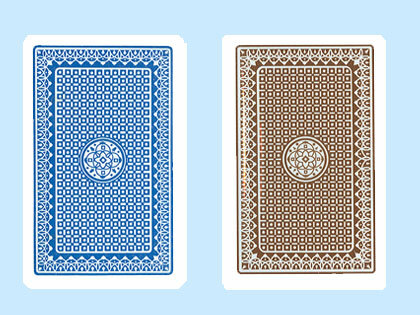 Our two deck sets contain one blue and one brown playing card decks with a regular index. For additional information on Kem Cards or wholesale pricing, please call 1-800-233-0828.